We carry out our business smoothly by offering supreme quality Prone Croler. This is manufactured with the help of our team by using optimum quality materials with the aid of advanced machines. 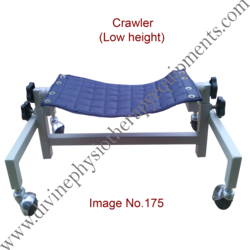 It is enormously used by cerebral palsy patients for providing movement to the body. Our quality controllers check this on diverse parameters in order to ensure its strength. In addition, this is light in weight. We always focus on the benefits of our clients and therefore offer superior quality Low Height Crawler. Our complete array of crawler is manufactured using fine grade materials at our well equipped production unit under the guidance of our team. The crawler provided by us undergoes diverse quality tests in order to ensure its durability. Moreover, this is available in different specifications as per the required demands of clients and can be easily availed from us at affordable rates. 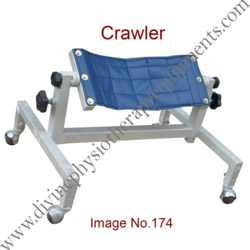 Croller is use for crolling child Croller is height adjustable,Croller bed is Degree adjustable.360 degree rotateable Wheel. 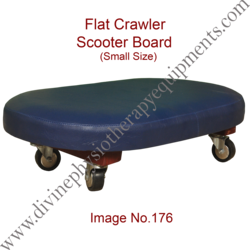 Looking for Occupational Therapy Equipment-4 ?